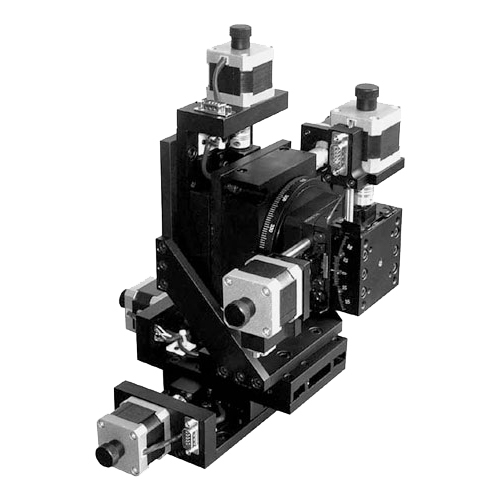 6-axis motorized stage with translation, rotation, and tilt function. 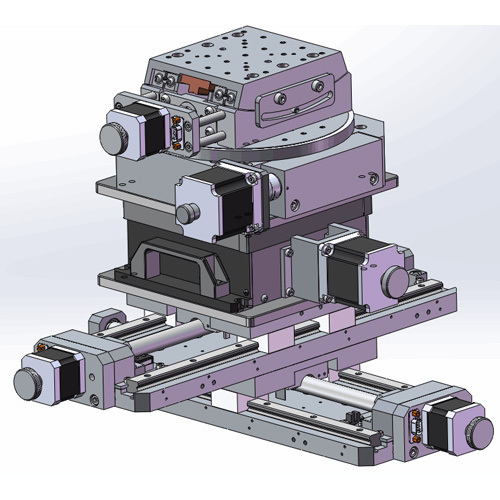 Travel range of x, y, z axis stage is 30mm. Travel range of goniometric stage is ±10° and ±15°. 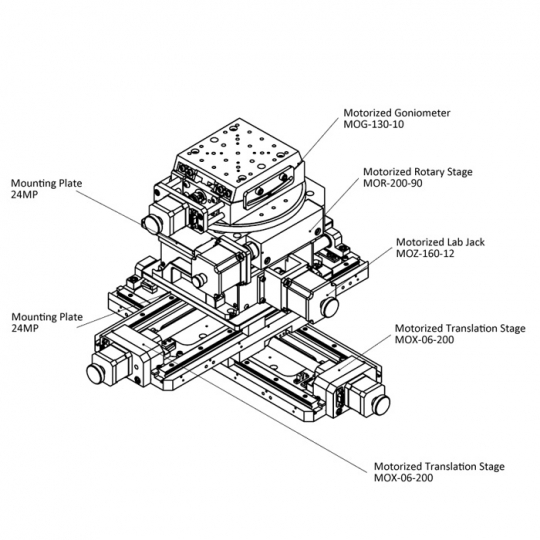 The 6-axis motorized stage is combined by three motorized linear stages, one motorized rotation stage, two motorized goniometric stages. It provides six degrees of freedom adjustment. By using our motion controller, customer can control the stage automatically.